Suitable for stage, bicycle luminous decoration, DIY creative decoration. Some safety warning functions such as safety emergency evacuation passageway. Subway, station, underground passage, KTV, dance hall, movie theater, supermarket store, hospital, railway station, airport, wharf, etc. 100% INDUSTRIAL ADHESION 100% WATERPROOF 100% REMOVEBLE. 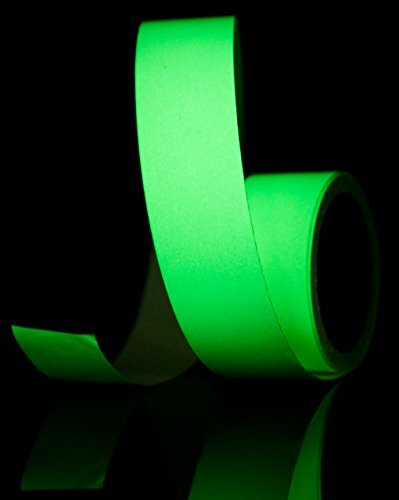 Our glow in the dark tape is self adhesive.Peel and stick to any surface such as fabric, cardboard, backpack, wall, and glass.Make sure you applied on a clean and smooth surface.Our tape will stick on the surface for long time if it's even surface.100% ADHERENCIA INDUSTRIAL 100% IMPERMEABLE 100% REMOVEBLE. If you have any questions about this product by Starrey, contact us by completing and submitting the form below. If you are looking for a specif part number, please include it with your message.